Remember the good old days when you spent your afternoons building contraptions with your building sets? Click here to play! Travel back to those wonder years in Slotstructor where you get to build flowers, suns and letters for a chance to build up a pretty decent account balance! While you're working on your various building projects, keep an eye out for the number seven icon. This wild symbol will replace all other symbols (excluding scatters and bonuses) to help you spin more winning combinations across the pay lines. Also keep an eye out for other building supplies, including the white painted B. Three to five of these will get you up to 1000 credits. Three to five BOOM symbols will get you up to 500 credits. Flowers, A's, suns, clocks, envelopes and purple medals will pay out as well, so don't overlook these symbols while you're building up your projects. Watch out for Kingstructor as this royal symbol is a scatter and will award you with free spins when you spin three or more. There's also a bonus game that could see you winning some bonus cash if you spin three or more Kingbonus symbols. Get back to your carefree younger days in this game that will see you playing with building sets for a chance to win big! The Kingstructor wearing the golden crown acts as a scatter symbol. You'll need to spin three or more of these symbols to win 5, 7 or 10 free spins. The number 7 icons act as wild symbols. 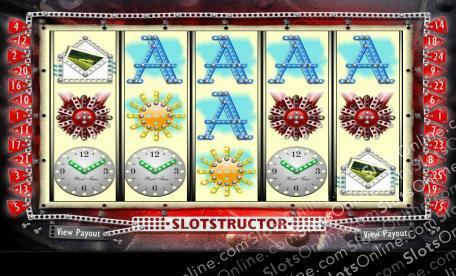 They will replace all other symbols, excluding scatters and bonuses, to help you create more winning combinations. The Kingbonus symbol acts will trigger a bonus. Rather than playing a game though, you sill simply be rewarded a cash prize when you spin three or more of these anywhere on the board. You could win anywhere from 30 to 750 times your wager.